Statistical literacy (StatLit) is closely related to Numeracy, Quantitative Literacy and Statistics. Stat Lit is driven by the everyday arguments using statistics as evidence. So Stat Lit has more focus on observational studies than on experiments, more on two-group comparisons than on correlation, more on multivariate thinking than on chance and more on ordinary-language communication than on algebraic-formulas. Although "association doesn't prove causation" in observational studies, the decision-related question is how much support does a statistical association give for inferring a direct causal connection. This site addresses that question. Everything I Needed to Know about Averages..., I Learned in College by Lynn Arthur Steen: "QL is sufficiently sophisticated to warrant inclusion in college study and, more important, that without it students cannot intelligently achieve major goals of college education." Also Statistical Literacy and Liberal Education at Augsburg College by Milo Schield. Joel Best has published the sequel to his best-seller "Damned Lies and Statistics." Augsburg students reviewed this book. They felt it helped them understand the use and misuse of statistics in reading essays and listening to debates. The final chapter, 'Toward Statistical Literacy', is a sobering assessment of the challenges involved in developing Statistical Literacy as a course. 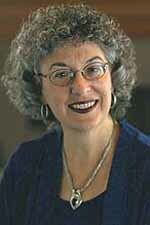 Lynn Steen is the leading voice of -- and for -- Quantitative Literacy. His latest book carries on his tradition of listening to many different viewpoints, staying sensitive to differences, yet searching for an integration -- a consensus -- on what will work. This volume has the sharpest focus to date on defining and measuring quantitative literacy in ways that are strategically relevant and operationally sound. This book is an absolute 'must-read' for anyone interested in numeracy for all. Jane Miller has a great book on the effective presentation of quantitative information. Reviewer Joel Best says, "A most original work -- a how-to guide for just about anyone trying to write (or talk) about numeric data." Reviewer Milo Schield says, "Highly recommended. 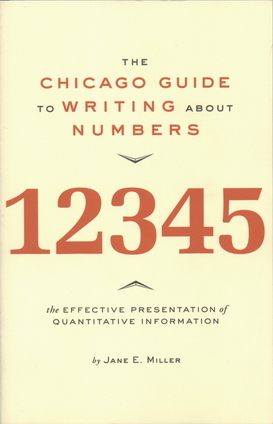 The Chicago Guide to Writing about Numbers addresses core issues in statistical literacy." Presents key principles, useful tools and varied applications. John Brignell reviews contradictory headlines that have announced or refuted recent health scares and then investigates how this bizarre situation came about. Reviewer Alan Caruba touted the book saying, "discover how emancipating it is to free yourself of the endless stream of lies that passes for science in the public interest these days." The book is the sequel to "Sorry, Wrong Number." This new book argues that "Nearly half of all American adults—90 million people—have difficulty understanding and acting upon health information." "Health Literacy is the degree to which individuals can obtain, process and understand the basic health information and services they need to make appropriate health decisions." January 11, 2004 marked the 40th Anniversary of the Inaugural Surgeon General's Report on Smoking and Health. But the 2004 report may be a more significant milestone. This report redefines key terms such as "sufficient" and "cause." "Sufficient to infer" means "sufficient to inductively infer causation [from association] for the purpose of making a public health decision with few social costs and with considerable social benefit." If this redefinition changes the practice of science, it may change the philosophy of science. See the history of wording in Chapter 1 for association vs. causation. "Show Me The Numbers: Designing Tables And Graphs To Enlighten." Author Stephen Few "grounds his principles in the work of Edward R. Tufte and others, extends them to ... address the needs of business, and then applies them to hundreds of examples." Working With Numbers And Statistics: A Handbook For Journalists by Charles Livingston and Paul S. Voakes. Donna Stroup, CDC National Center for Chronic Disease Prevention and Health Promotion, coauthored this paper with Goodman, Cordell and Scheaffer. They argue that "epidemiology provides a useful and motivating context for teaching statistical principles." As a means, it emphasizes tools (such as relative risk and attributable fraction) commonly used but seldom taught in intro stats. As an end, it focuses on policy decisions using statistical associations obtained from observational data. 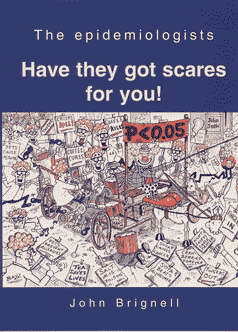 Should intro stats focus more on epidemiological thinking and measures of association? 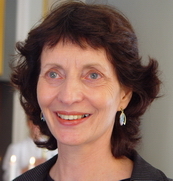 "The Challenges in Developing Statistical Literacy, Reasoning and Thinking" by Dani Ben-Zvi and Joan Garfield, two highly-respected researchers in statistical education. Although the book is somewhat expensive ($171 US@Amazon), these topics involve the ultimate goals of statistical education. Dr. Garfield directs ARTIST: an NSF project to develop "Tools for Teaching and Assessing Statistical Inference." As Tyco Brahe's statue watched the irregularities in planetary orbits, statistical educators at the IASE 2004 Roundtable in nearby Lund Sweden discussed two irregular topics: pre-inferential thinking (see papers presented by Bakker, Pfannkuch and Harradine) and multivariate thinking (see papers below by Ridgeway & Nicholson and by Schield). 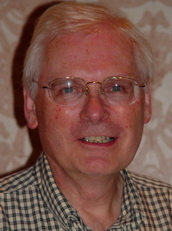 Arthur Bakker and Maxine Pfannkuch both gave papers on teaching statistical thinking in schools. Both noted that some questions (Are two centers the same or different?) may not have simple answers. Anthony Harradine argued that students should focus on "Within, Between and Beyond" in moving from observed data to statistical inference. Jim Ridgway and James Nicholson reviewed using multivariate data sets in English schools. They said that statistical thinking without multivariate data is "inadequate for informed citizenship in the 21st century." The design of the W. M. Keck Statistical Literacy curriculum was presented by project director Milo Schield. This curriculum is for majors that don't require math, so the focus is on causation, context, conditional reasoning, confounding and confounder influence on statistical significance (See also Schield's ICME paper). 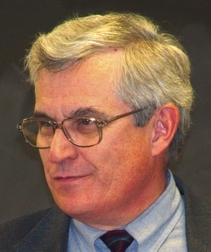 2004 marked the 7th annual session on Statistical Literacy at the ASA Joint Statistical Meetings. This year's session involved papers by authors Stroup (see above), Hayden (right), and Klass (below), and by Schield (upper right) and Burnham (lower right). Commentator Brian Jersky (left) reiterated "the crucial need to enhance the teaching of statistics to include statistical literacy and scientific reasoning." Bob Hayden says the first step is to define statistical literacy: "Study life, not books, to see what students need." "The biggest pitfall ... is the temptation to make it a watered-down version of the methods course." A good course should be "inspired by an empirical study of what skills are actually needed in real life." As a seasoned, highly respected statistical educator, Bob's thoughts on planning a statistical literacy course are very cogent. 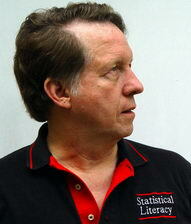 Gary Klass teaches statistical reasoning to Political Science majors and manages the Presenting Data website. Gary teaches "soft quantitative analysis": descriptive statistics with very little use of inferential statistics. His goal is for students to be able to "find, interpret, and present statistical evidence in term papers, senior theses and other research projects, and to be able to interpret multiple regression analyses in published research articles." Gary is on the leading edge of statistical literacy. 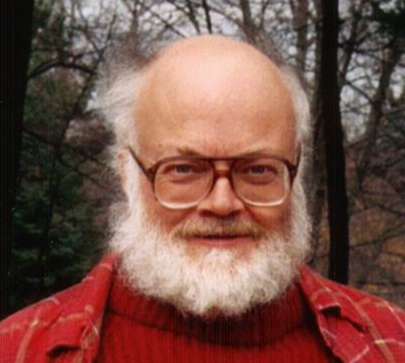 Milo Schield (above) and Tom Burnham (right) used a single statistic to summarize the influence of a family of binary confounders and then generate the size confounder needed to nullify an association. For background, see previous papers ASA 2002 and ASA 2003. A more controversial item is the introduction of 'confounder intervals.' Session commentator Brian Jersky saw this as "an innovative and unique scheme to assess confounding. "